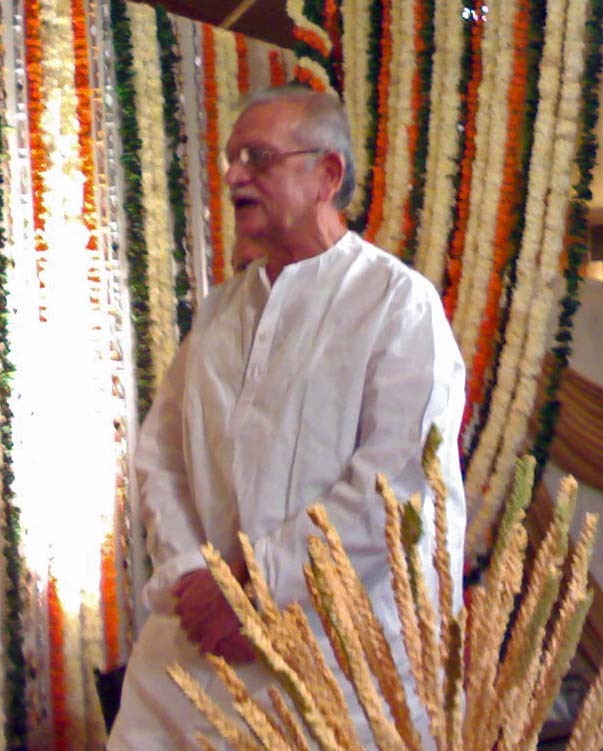 Stock Pictures: Photo of Gulzar, the lyricist in Hindi cinema. Here is a free photograph of Gulzar, whose original name is Sampooran Singh Kalra. He is an Indian poet, lyricist and director. He was born in a Sikh family and Gulzar is his pen name. At one time he worked as a car mechanic in a garage. I shot this picture on my cell phone a few months ago at a wedding where he was a guest.